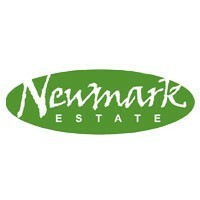 Sign-up and receive Property Email Alerts of Residential Estates in Newmark Residential Estate, Bronkhorstspruit. Located in the Hazeldean nodal development area of Pretoria, Newmark Residential Estate consists of freehold homes, two apartment blocks and a small office park. Bordering the Farm Inn Nature Reserve, it has a close proximity to numerous private schools, shopping malls and easy access to national highways. The estate is 20 hectares large and two dogs and two cats are permitted per household.